Bar Stools are brilliant, perfect for your breakfast bar, kitchen island or home bar, they form part of the space in your home where your friends and family gather round to enjoy good food, drinks and company! 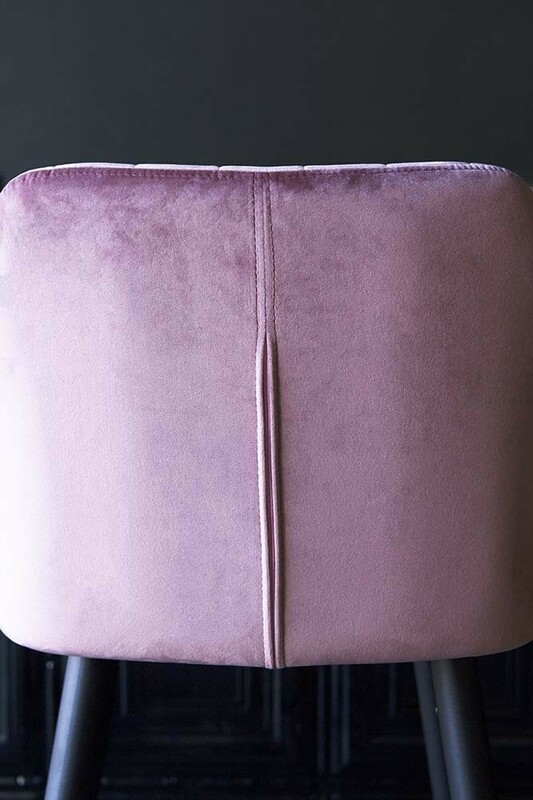 Part of the RSG exclusive Furniture Collection our Tall Casino Velvet Bar Chair will see the resurgence of classical velvet materials with a modern twist and look as though they belong in a New York Bar or hotel! 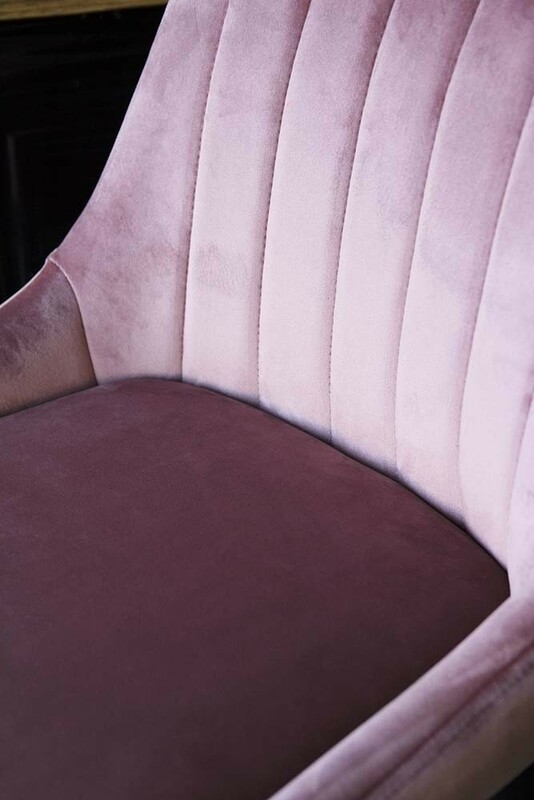 Soft to touch and oozing luxurious glamour the Tall Casino Velvet Bar Chair in a rose pink will demand the eye and elevate your interior design in an instant. 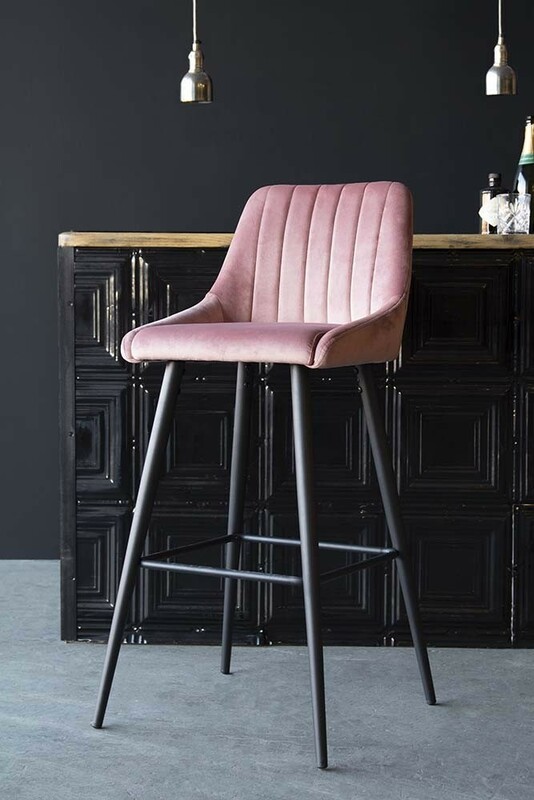 Casino inspired the Tall Velvet Bar Chairs feature a soft velvet back with line detailing all supported by classy black metal chair legs which are perfect for adding class and sophistication to your home bar or breakfast bar! Made to a high and ethical standard the Tall Casino Velvet Bar Chair are exclusively curated in a range of colour-pop tones from Rich Green, Golden Ochre and Rose Pink and is also available as Bar Stools, Dining Chairs and Armchairs. Please note, the Casino Velvet Bar Chairs are tall and so we recommend measuring up your bar space to ensure that these bar chairs will work in your home. Please note, these are very tall bar stools and so we advise measuring your home bar before purchasing. Foot Bar H30cm, Material: Soft velvet & black matt metal legs.